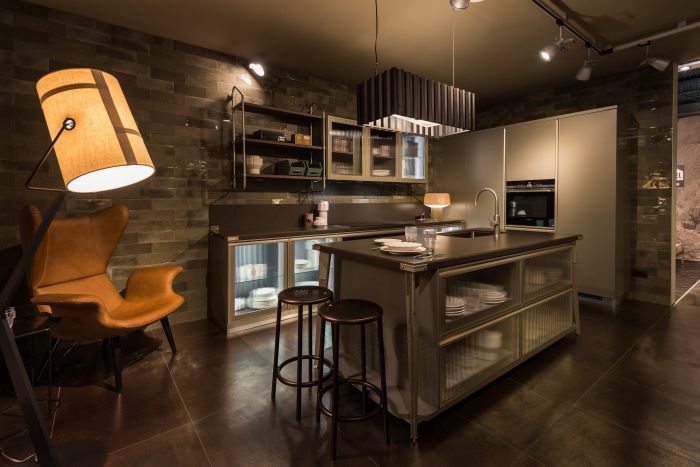 A spectacular display of Scavolini’s Diesel Open Workshop collection has been put together at Casa Decor, the exclusive interior design event open to the public for six weeks in a one-of-a-kind historic building housing four floors of space decorated by the best contemporary designers. This original event format is held each year in a different location in the centre of Madrid. 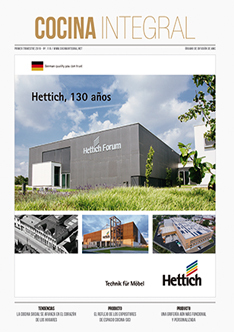 07.02.2019 Situated at the crossroads between Núñez de Balboa and Juan Bravo streets, the building scheduled to play host to the 2019 edition – between 24th January and 10th March – was built during the 1930s under the styling discipline of rationalism. Casa Decor is the perfect setting for Scavolini’s Diesel Open Workshop collection: with its industrial vibe, the design blends in perfectly with the majestic dwelling marked by high ceilings, wooden flooring, original plasterwork and railings that define around one hundred spaces where the magnificent splendour of the past can still be appreciated. From an architectural perspective, Diesel Open Workshop stands out for the modular metallic structures with a clear industrial twist, that play the starring role in the Stock Rack system. Also, thanks to the clever mix of blocks and voids, it allows the creation of compositions with an unmistakable metropolitan soul, accentuated by the use of matt shades that combine to create comfortable and casual environments. In the same way, the spaces are interpreted as a place of intimacy, personality and, at the same time, for socialising. At the centre, remarkable attention to style, right down to the detailing, the materials and the textures, to create simple geometry but with attractive designs, beloved by an audience that seeks «apparent» simplicity of form. 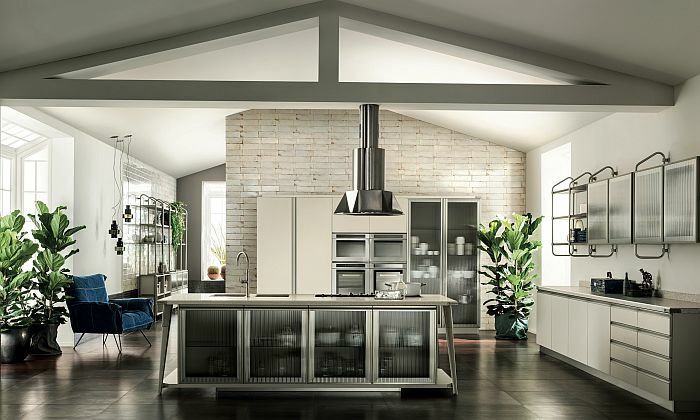 So, the presence of the Diesel Open Workshop line at Casa Decor is a significant opportunity to showcase once again the quality offered by Scavolini and its role as brand ambassador of impeccable Italian style. As one of the most famous and popular specialist Italian brands in the world, Scavolini has in fact in recent years implemented a successful strategy based on an effective and targeted policy of continually reinforcing its international presence, but also on product development tailored to the tastes and needs of various countries. 24th January – 10th March 2019. Núñez de Balboa 86, Madrid.